An incredibly rare piece of animation history, an all-original, unrestored production cel and master background from Walt Disney’s 1935 classic “Mickey’s Service Station,” featuring Mickey Mouse and Goofy, may bring $60,000+ when hit the auction block on July 1. The only known black and white production cel featuring Goofy in private hands will be offered by Heritage Auction as part of its Animation Art Signature Auction, taking place at the Fletcher-Sinclair Mansion (2 E. 79th Street, at 5th Ave.). 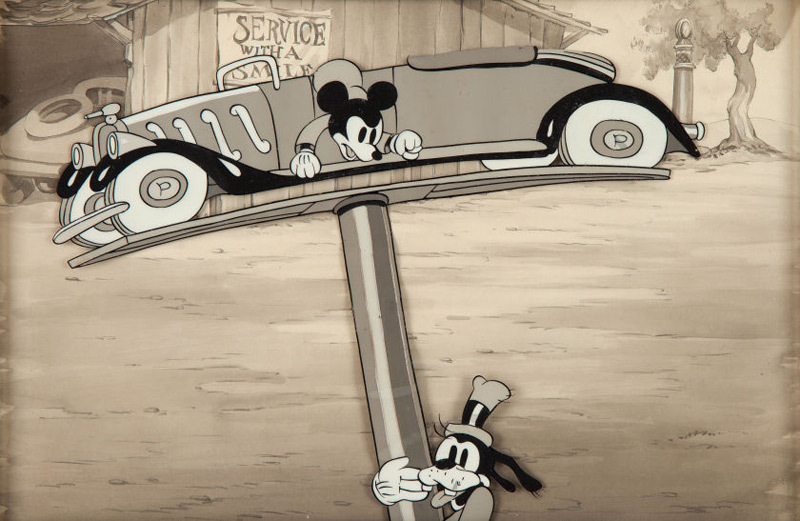 In the classic cartoon Mickey (voiced by Disney himself), along with Goofy and Donald, do their best to find a squeaking sound in Pete’s roadster. Naturally, they take the car apart looking for the source of the annoying sound, which turns out to be a cricket. 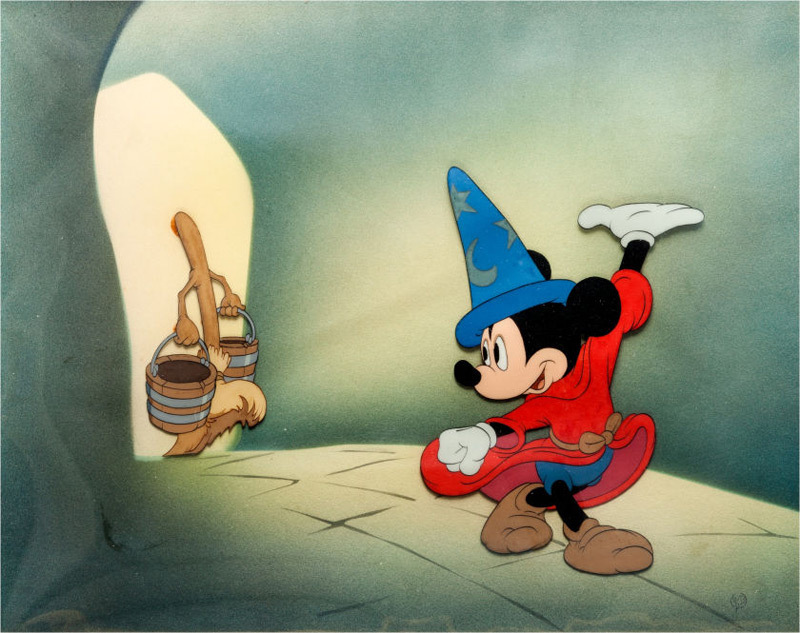 The auction goes deep into the career of the world’s most iconic mouse, with amazing early representations from some of the most beloved Mickey cartoons, including a very rare Steamboat Willie (Disney, 1928) production drawing by the great Ub Iwerks, from the cartoon that made Mickey famous, a wonderful cel of Mickey as The Sorcerer’s Apprentice and a very scarce piece of Mickey Mouse storyboard art, both from Fantasia (Disney, 1940). Further Mickey Mouse highlights come in the form of offerings from The Band Concert, The Mickey Mouse Club, Nifty Nineties(signed by Walt Disney), Brave Little Tailor, Fun and Fancy Free/Mickey and the Beanstalk, The Pointer and Plane Crazy. 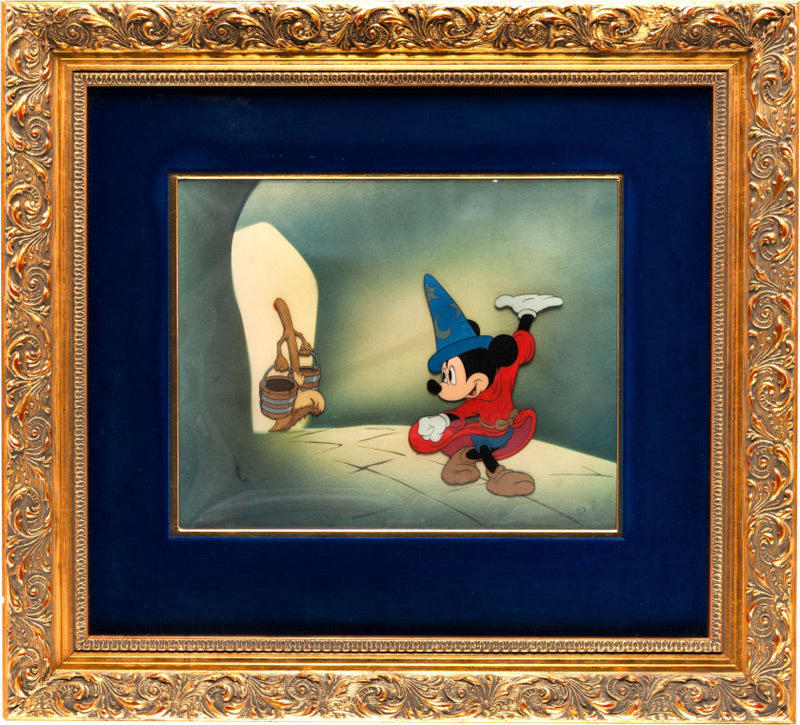 While Mickey Mouse is the clear centerpiece of the Disney offerings in the auction, one more great early Disney star makes a very important appearance in the auction. A production cel from 1934’s “Wise Old Hen” is already creating buzz with collectors. The cartoon marked the debut of Donald Duck, whose popularity soared following this first appearance and it’s one of the few cels known to exist from the cartoon. 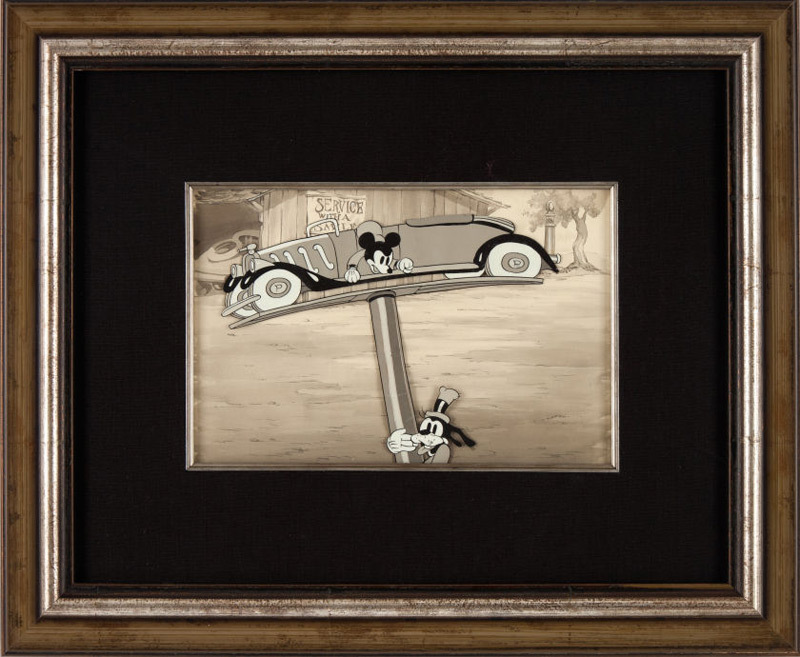 The piece comes to auction from a family whose mother was a secretary for the story department at Walt Disney in 1934.
googyheritage auctionheritage auction's animation art signature auctionmickey mousewalt disney's classic "mickey's service station"